Cabo Multivias Adam Hall K20C30. 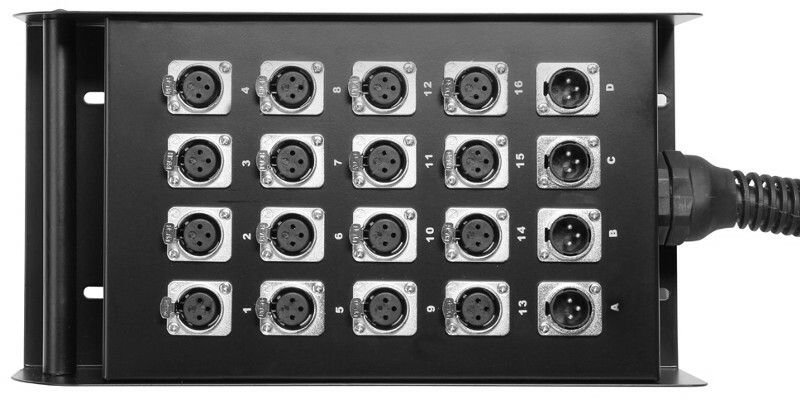 Sistema: 20 Canais. Comprimento: 30 m. Cor: . 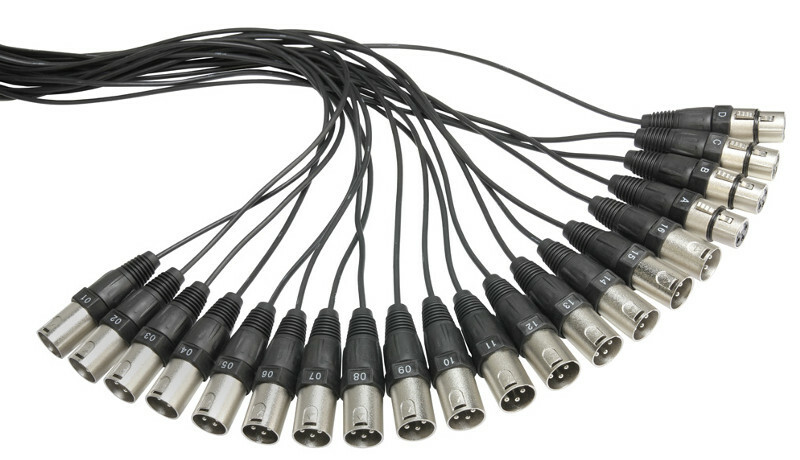 Twenty-channel multicore with permanently attached 30-metre cable terminating in Adam Hall XLR plugs. 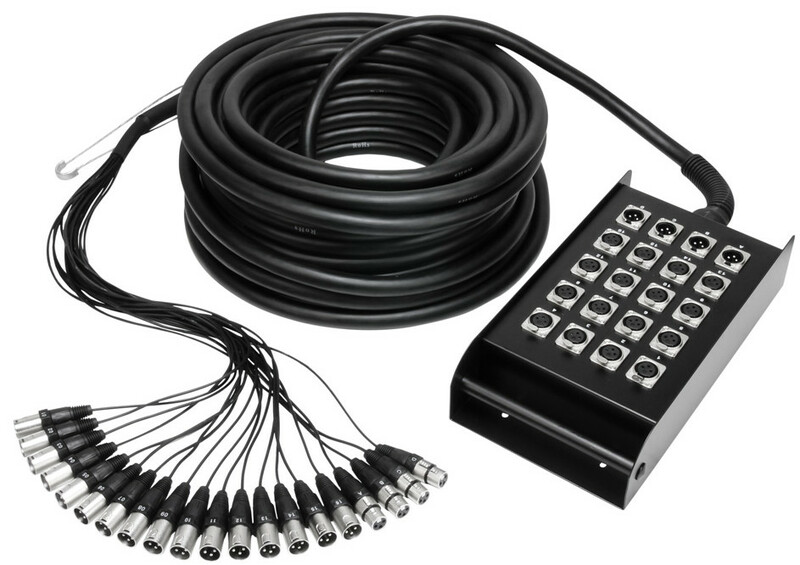 The all-metal stage box has a solid strain relief in the transitional area between box and cable. 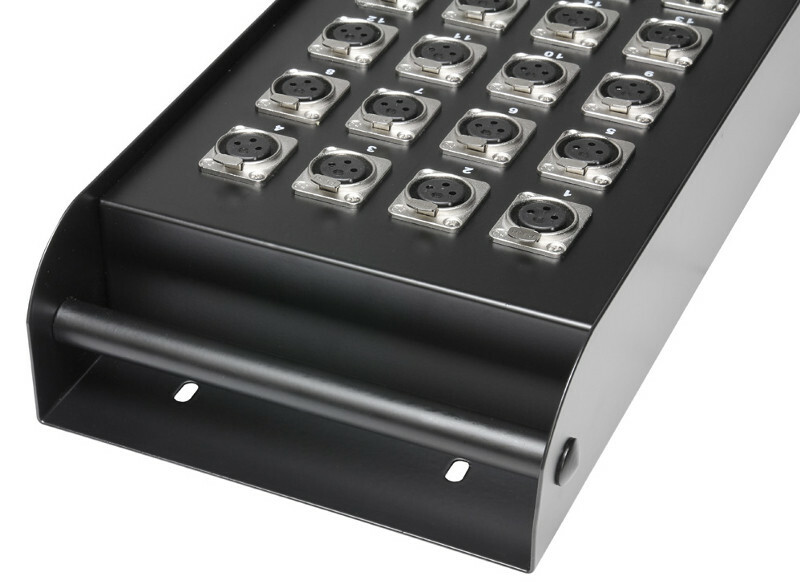 The protruding sides optimally protect the sockets on the stage box against damage. 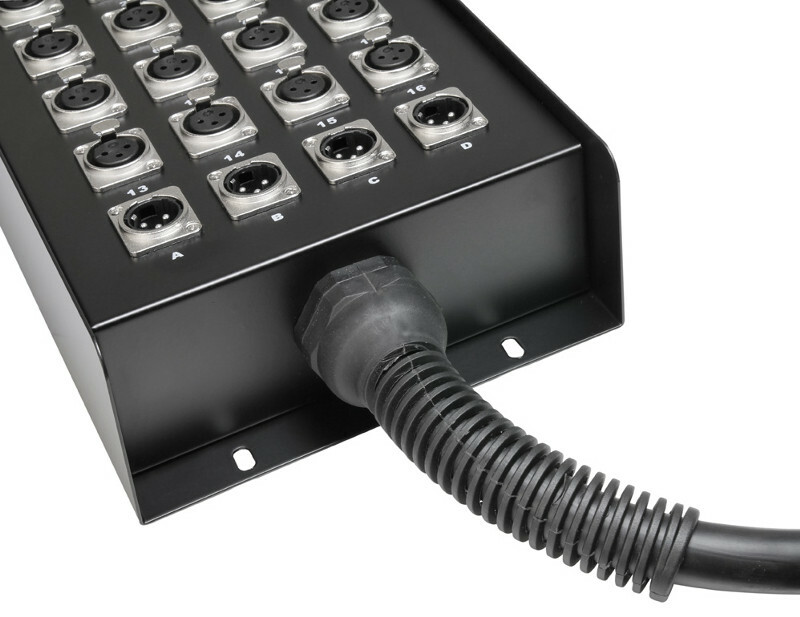 With a built-in handle for ease of handling and prepared mounting possibilities for permanent installation. 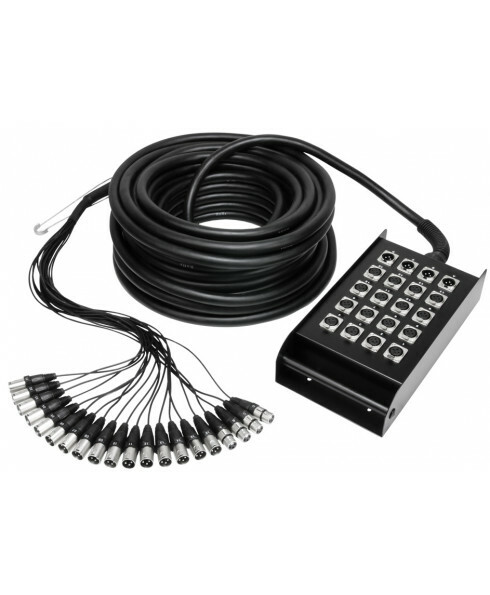 The additionally reinforced transition to the terminations prevents fatigue and cable breakage. For sixteen send and four return paths. Fifty-metre cable length available on request.